It was the hardest freeze in about eight years at the farm with 700 acres of strawberries about five miles north of Plant City, Connell says. “For me it’s been very consistent as far as production goes,” says Lance Ham, owner of FARM N 4 U north of Plant City and FSGA vice president. Temperatures at Ham’s farm dipped into the 26- to 28-degree Fahrenheit range, but things soon returned to normal. “We always expect to have two to four [cold] nights,” he says. The U.S. Weather Service preliminary data shows a record 29 degrees in the Tampa Bay area on Jan. 18. Growers have relied on overhead irrigation and cloth blankets to protect their crops. Ham reports about 10 percent damage each to the bloom and fruit, which amounts to about one percent overall for the season. “Everything worked out fine,” he says. The industry centered around Plant City, dubbed the Winter Strawberry Capital of the World, has been feeling intensified pressure as West Coast strawberry growers move farther south, into Mexico, to grow their businesses. Mexican strawberries compete in the marketplace during the Florida season, which usually runs from November through April. The U.S. Department of Agriculture Daily Movement Report for Jan. 26 shows 1,768 Florida truck shipments weighing 40,000 pounds each compared to 2,360 for the same period last year. Mexican strawberry shipments are also behind, but by less, with 2,975 loads this year compared to 2,984 to date last year. On the organic side, Florida logged 42 shipments compared to 62 this time last year. The Mexican organic volume increased; the report shows 131 Mexican shipments this year, up from 102 for the same period last year. Fruit volumes can be reduced because excessive heat and fluctuating temperatures cause berries to ripen faster and not reach their full size, increasing the number required to fill a package, Young points out. 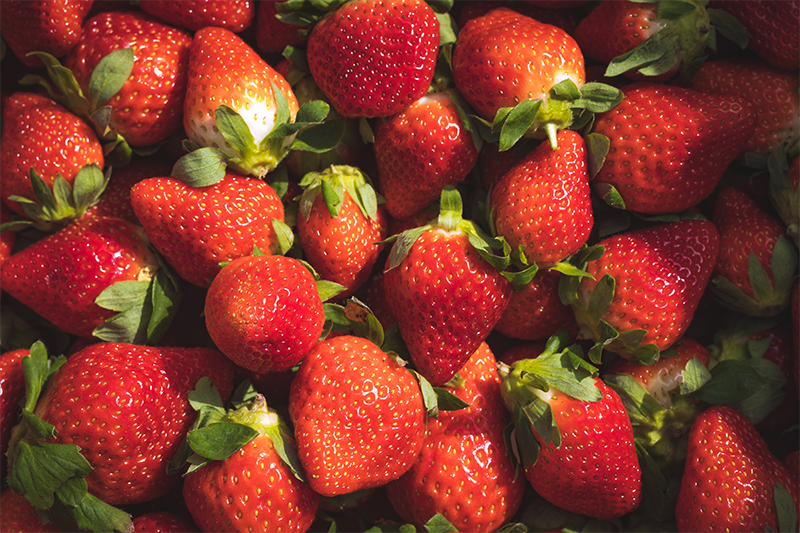 About 10,000 acres of strawberries are planted in Florida, according to the FSGA. The number has remained constant for the last five years. Some long-time, small growers not involved in shipping or packing are finding business is no longer profitable, however. “The larger guys are getting larger,” Young says. In the end, the consumer decides. “If Mexico continues to grow in their production and the consumers don’t care where they get their product from, I believe that you’ll see a decline in strawberries in Florida,” he says. Marketing of Florida berries has been a big help in keeping the industry stable, according to Ham. Technology is providing some help. Services like the Florida Automated Weather Network (FAWN) Freeze Alert and the Strawberry Advisory System provide services online to help growers deal with the weather and fungus. And Harvest Croo Robotics of Tampa is testing a robotic picker with funding from farmers and the National Science Foundation. Automation would bring significant changes. “It will definitely be a different world,” he says. “It could change the industry.” A machine-harvested strawberry may need to have longer stems or a bush canopy that isn’t as tall or dense, he says. Technology has helped growers in Michoacan, Mexico stand out, according to a report by Feng Wu, Zhengfei Guan, J. Jaime Arana-Coronado and Melvin Garcia-Nazariega at the University of Florida. Mexican government subsidies and American investment have been a driving force, although high tunnels made of aluminum and covered with polyethylene have increased yields. The “magic bullet” for Florida, he says, is a good-producing breed that is easily harvested. “It kind of occurred with Sensation,” he says. The industry celebrates its harvest at the Florida Strawberry Festival March 1 through 11 at the Festival grounds in Plant City. The event features a major lineup of stars including The Oak Ridge Boys, Jerry Lee Lewis, Lee Greenwood, Reba McEntire, Casting Crowns, Engelbert Humperdinck, The Letterman, Charley Pride and Earth, Wind, and Fire.